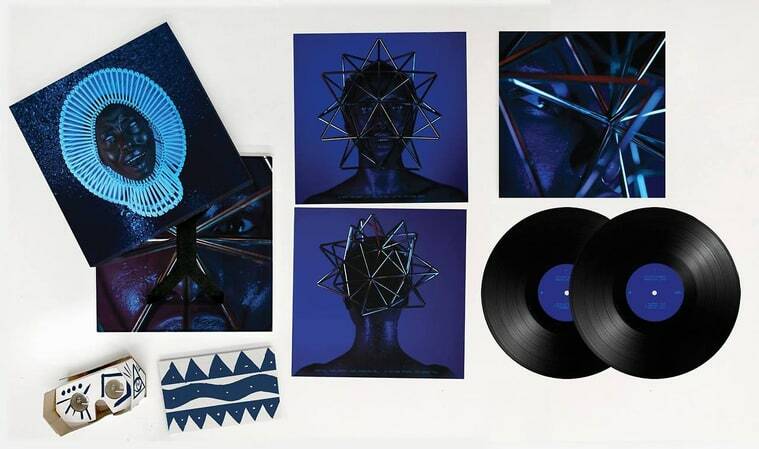 Childish Gambino’s latest album, “Awaken, My Love”, has been released with a special limited edition Virtual Reality vinyl. Childish Gambino teamed up with Microsoft to bring the new album into new artistic and tech territory. This special edition includes a VR headset inside the packaging, and provides an access code for using the VR app with your phone placed in the headset. The VR experience gives fans a new spin on the album. It’s more than a 360 recording of the live Pharos event where Awaken, My Love was debuted. It starts in a video of the concert, but then takes the viewer into the projected worlds created for the live show. You aren’t just seeing the trippy dreamscape jungle projected on the walls, but now you are traveling through it. For the move to VR, we wanted to keep a sonic lineage to the live experience, so the same library I created for the live show was used in these new imaginings. The sounds were excellently mixed for VR by Daniel Jaramillo of UK-based SoundNode. A custom quad-binaural system was created to handle the fixed positioning of sound objects in the virtual world.